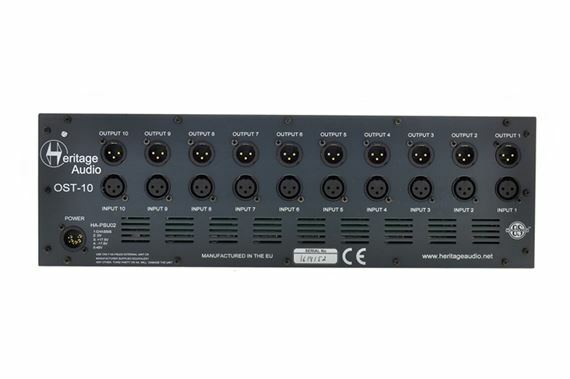 Shop Heritage Audio OST-10 10 Slot 500 Series Rack With On Slot Technology from AMS with 0% Interest Payment Plans and Free Shipping. 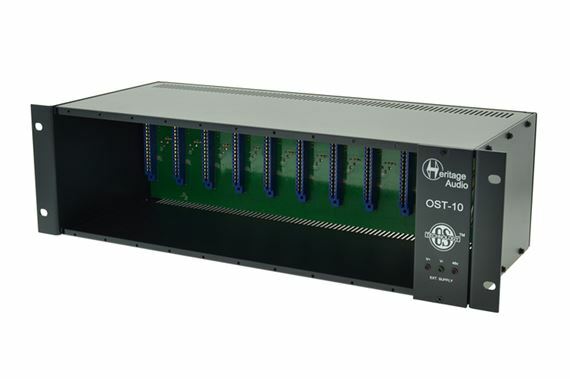 The OST-10 is a 500 Series enclosure in a 3U Rack format, able to accommodate up to 10 modules. 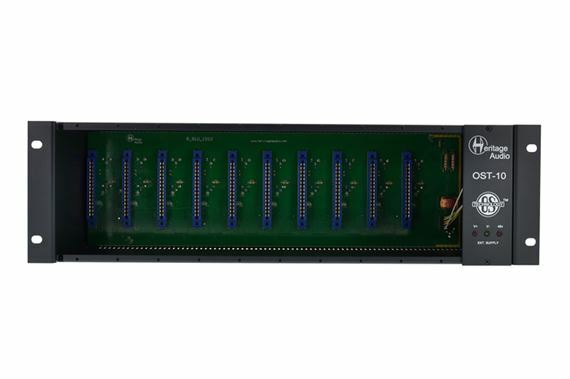 As the rest of the new Heritage Audio line of 500 Series enclosures, it features ON SLOT Technology (OTS). ON SLOT TECHNOLOGY takes advantage of last generation power electronics to handle power supply on a per slot basis. Each slot has its own power supply linear regulation stages; therefore modules are isolated from the rest. They just share the metal enclosure.